Every Minnesotan I know, in response to the myth that we are flannel-wearing backwoods hicks who are years behind on pop culture, is quick to name every big name who has ever hailed from our state. Prince and Bob Dylan naturally top the list because everyone actually knows who they are. 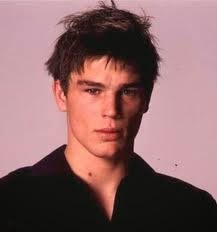 But we also have a slew of B/C-Listers like Jessica Biel, Seann William Scott, Rachel Leigh Cook, and Josh Hartnett (pictured left in case you didn't even remember who he was), to name a few. My personal favorite is Genevieve Gorder from Trading Spaces (though I think it's weird and gross that she insists on being barefoot in everyone's house). 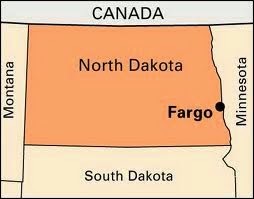 And I suppose being a movie blog, I would be remiss if I didn't mention the Coen brothers - Minnesota natives who managed to perpetuate the myth that everyone in Minnesota has a hokey accent and falsely positioned Fargo in Minnesota when it is, in fact, located in North Dakota. Sigh. In the interest of full disclosure, I have not seen every movie the Coen brothers have written. I couldn't possibly sit through all of them, considering I have yet to like a single one I've seen. Yes, this means I did not enjoy their Oscar-winning Fargo (obviously), No Country for Old Men, or even The Big Lebowski. Even their tamer fare, like Intolerable Cruelty, was, well, intolerable. Fast forward to this movie: I rented it on a whim off Comcast On-Demand, which did not disclose that this movie was written by the Coens. I most certainly would not have rented it had I known. Instead, I was wooed by the promise of a comedy + Colin Firth and even sprung for the HD version. Despite my negative lead-up, I wasn't disappointed in my choice. 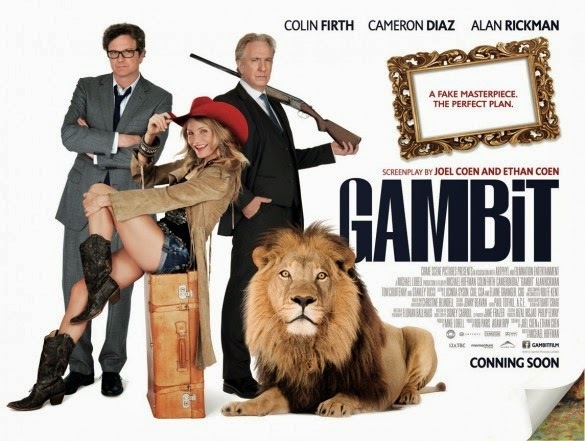 Yes, Cameron Diaz has possibly the worst Texas accent I can remember (what else would you expect from the Coens, who create caricatures instead of real people), but listening to Alan Rickman talk is enough for me to overlook it. [I mean seriously, his voice should be on every navigational system - "I said, turn right, you moron."] And seeing Colin Firth as anything but Mr. Darcy was a little disconcerting at first, but ultimately refreshing. The movie has a bit of a Dirty Rotten Scoundrels feel to it and I spent the entire movie trying to determine who was scamming whom. It's not quite as good as Dirty Rotten Scoundrels, but really, who can live up to Steve Martin? Final word: With the exception of X-Men fans who were likely confused while watching this, it was relatively entertaining.